Before I dive into my next book of randomness, I thought I would share a few pages from my Disney Desk Calendar that had factoids that I found to be very interesting. No mistakes yet, other than one, but that won't pop up in a post until next year. I am very surprised there was only 1 mistake so far. Last year I seemed to have quite the pile of them! But we're only nearing June! Rapunzel's animated hair is approximately 70 feet long, and is made up of 100,000 individual strands. That's amazing! It's pretty cool to see what you can do with CGI animation versus the hand-drawn stuff. Though that art is stunning in its own way too of course! 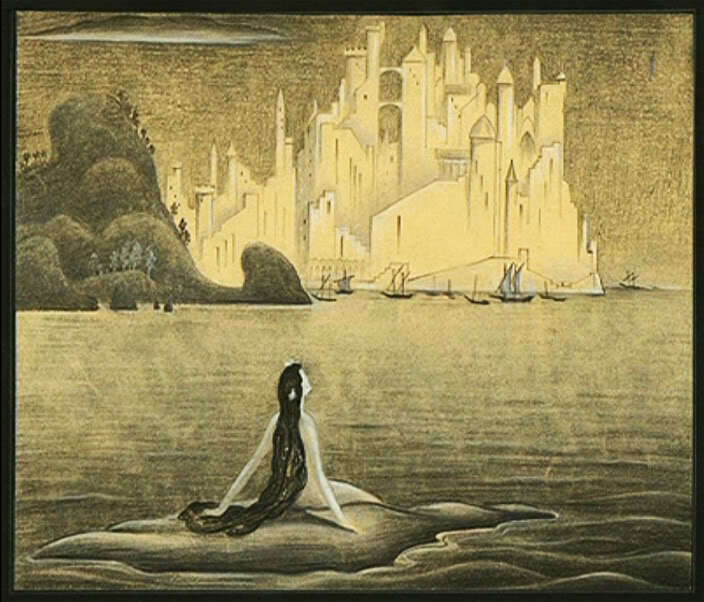 Between 1940 and 1941, Danish artist Kay Nielsen created an extraordinary series of "Little Mermaid" concept paintings for Walt Disney. Forty-five years later, those paintings so inspired The Little Mermaid filmmaking team that they gave Nielsen an on-screen, end-title credit. 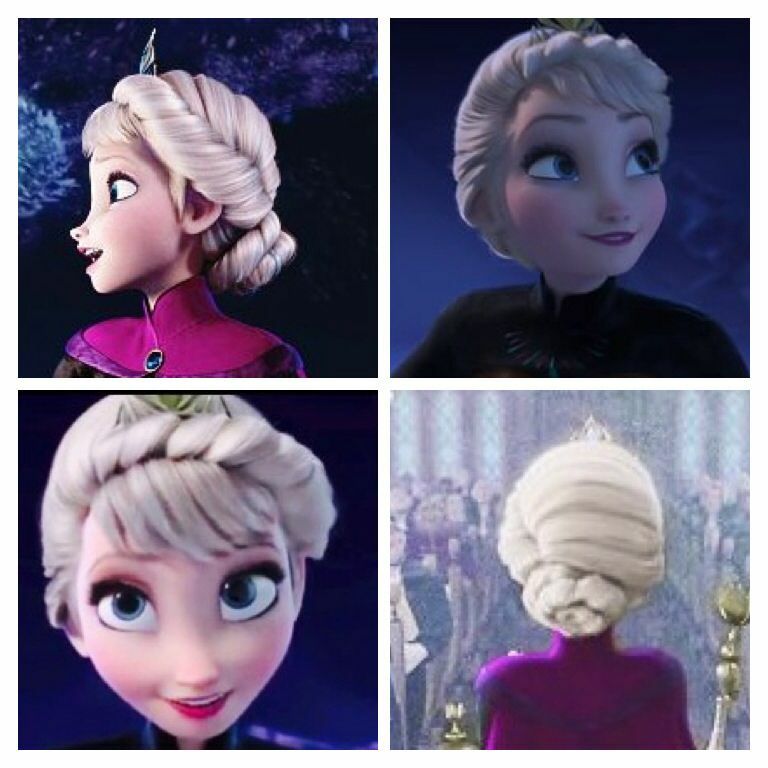 Due to the intricacy of her braid, Elsa has 420,000 strands of hair. That's four times more than Tangled's Rapunzel. Whoa. I didn't think Elsa's hair would top Rapunzel, but yeah I can see it now with the details to her braid! In Pixar movies you sometimes see the magical number A113. If you didn't already know, this was the room number that most of the Pixar animators met in when they were taking their Animation 101 class! I was surprised to have seen the number here in a non-Pixar film, but there you go! 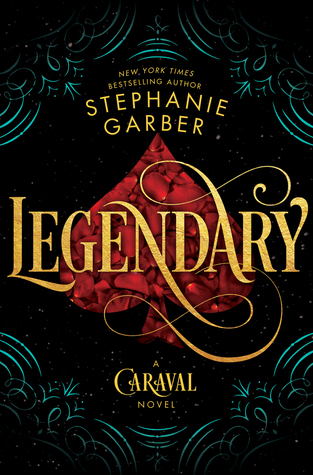 When seventeen-year-old senator's son Grant Tavish is involved in a fatal accident, all he wants to do is face the consequences of what he's done, but the consequences never come, even if headlines of "affluenza" do. The truth soon becomes clear: Due to his father's connections, not only will Grant not be held accountable for his actions, he's going to get away with murder. When a long Tavish tradition approaches, a cave excursion on the Appalachian trail, Grant seizes the opportunity to take justice into his own hands by staging an accident and never coming back. But before he has a chance to enact his plans, the cave system collapses, trapping him miles beneath the surface with four other teens from much less fortunate circumstances. As they struggle to survive, they share their innermost secrets and fears, and just when it seems they might be on track to finding a way out, they realize there's something else down there. This sounds very intriguing and just a little creepy! So naturally I am all over it! Lol! 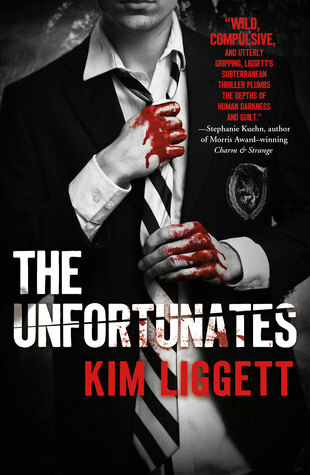 Plus seeing the bloody cover really gets me curious! I'm weird I suppose! LOL! The beginning of the book opens up with Kyra and Tyler on the run with Kyra’s dad trying to stay under the radar from the NSA. 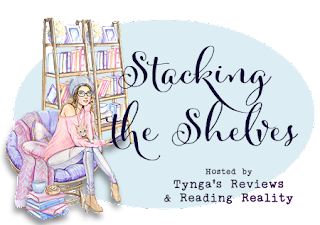 We get a brief recap of what went down the last time, which was super nice, even if I did just read that book beforehand. 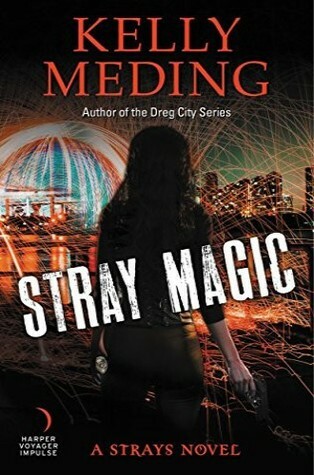 Though I thought it odd that Kyra didn’t mention anything about Natty being MIA, Thom being a potential traitor, or the fact that the nefarious Agent Truman was really a Returned and Griffin’s dad, but I digress. At least I knew these things! Lol! Tyler still doesn’t have his full memory back and after his strange hypnosis at the end of The Returned where he’s drawing out maps and saying “The Returned must die,” Kyra hasn’t been sure what to tell him in that regards. Trying to keep back their full relationship was hard enough. Trying to solve the mystery behind his message will be even tougher and then the unthinkable happens…Kyra gets kidnapped. 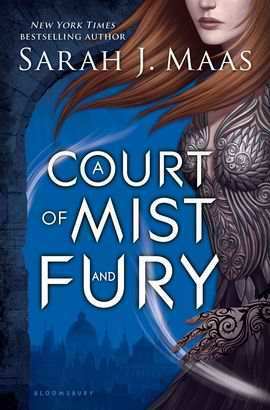 Kyra is taken by a new set of enemies, ones she didn’t even know about who have plans for her. She’ll have to find a way to escape on her own if she ever hopes to see her friends and father again. Meanwhile Simon, Tyler, and the rest of the gang are trying to figure out where she could be. Tyler has been having odd moments of being able to sense her or get an idea of what might be going on and he decides to follow his gut rather than letting Simon take the lead. This time around we get chapters that are from Simon and Tyler’s point of view which made for interesting feedback. 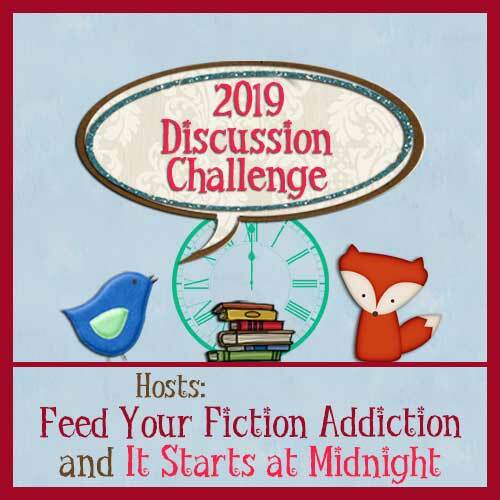 True, we needed to know what was happening when Kyra was separated from her friends, but it was also fun to get inside the heads of the boys who are trying to win Kyra’s heart. Though of course, we have Tyler struggling to remember his connection with Kyra. Things were pretty intense from the moment Kyra gets kidnapped and the tension and action hardly ever let up after that point. We learn a great deal of new information about the aliens that have taken the Returned. It made for some startling revelations. The ending was intense and actiony as ever! So much was happening, so many surprises and reveals were being tossed about! It was insane! And then bam! Things just kind of end. It was a truly gut-wrenching experience, that aftermath. Though, sadly, while the BIG questions are all answered in a roundabout way, I felt like there was a great deal left unsaid. Mainly what happened with Kyra’s friends, Simon and Co. It was just kind of brushed over what happened to them. Like a legit mentioning of them and that was it. Nothing more and that kind of bugged me. I mean, I would’ve liked to know what happened to them after all was said and done, but there’s pretty much no mentioning of them. 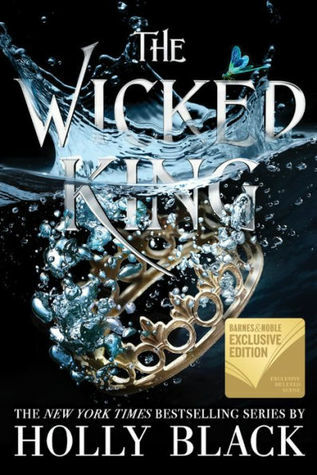 Since this is the final book, Kyra does make her choice romantic wise of who she will be with. There was indeed a love triangle in play and it was honestly one of those hard ones to actually choose a side. I felt for both boys, as Tyler was the one who cared for Kyra in the days of her Returning and then there’s Simon who was pretty much a constant in her life after that. I felt like I knew what she would end up doing but I wasn’t sure how we’d get there to be honest. There’s a teeny part there I didn’t like being brushed over either, but I won’t say more for fear of spoilers. 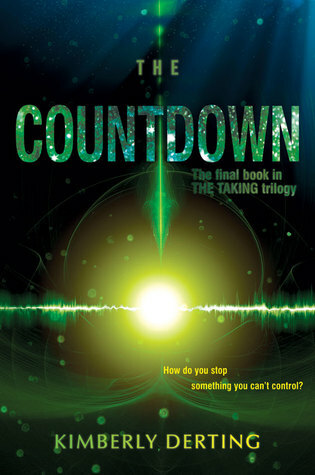 All in all, The Countdown was a pretty fantastic read! Yes, I still had burning questions about the fates of the others but sometimes you just have to accept the things that are not explained! 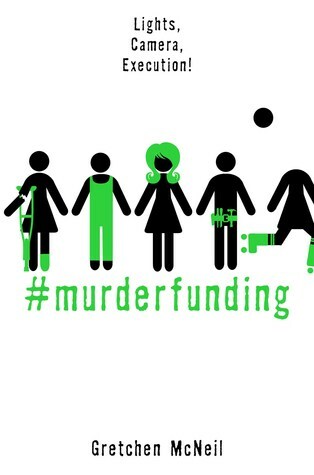 For the most part, I write off happy endings in my head for all who are unaccounted for in their futures! The pacing to this one was rather ideal. 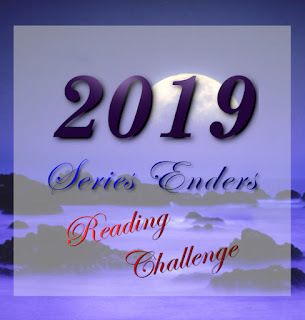 It may have had a slower start, but still exciting since Kyra is on the run and things get really intense after she’s kidnapped and the story continues to take off from that moment on. There’s not a dull moment to be had in this one! The ending itself was heartfelt and just what one could hope for with a series finale, even if it left out what happened to a few characters. Again, I plea the HEA effect for them all! This is truly a must read for fans of sci-fi and alien encounters! 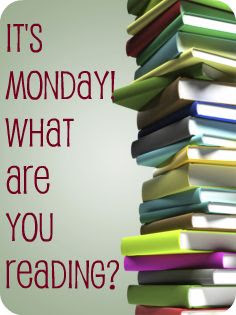 It’s one that will keep you turning the pages until you hit the end! 10. 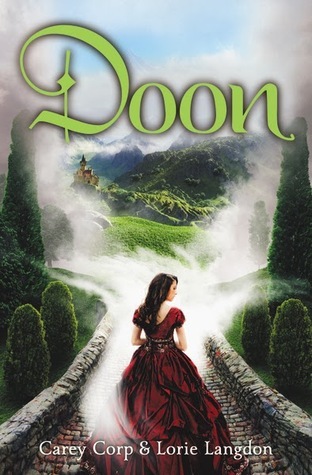 DOON--a mystical kingdom that you can only get to by crossing a bridge in Scotland?! Uh yes please!!! 9. MYTICA--I might be slightly crazy, but I think I would love to visit these countries! Of course, I might just want to see Magnus. Tough call. 8. 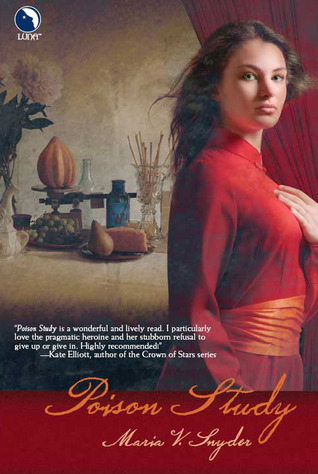 SITIA--I loved the world of Poison Study, though, naturally, I'd want to be on the side where magic is allowed more so than Ixia! 7. THE FORBIDDEN GAME--I might be nuts on this one. Wanting to visit, we'll say visit instead of live. I remember thinking this world fascinating, though terrifying. But if Julian were my guide I could manage! Lol! 6. 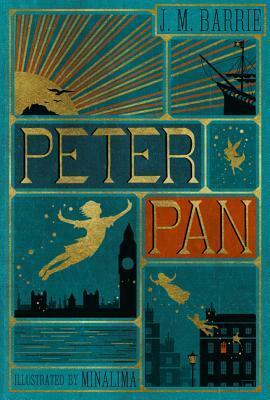 NEVERLAND--to never grow up would be a lot of fun! Though does it count if I am actually grown up but am still a kid at heart? Yes, I'm saying it does! Lol! 5. SANG--a world of paranormal creatures, kind of dark, maybe scary, but if I had Criminy at my side I know I could handle it. Now I just need to read the final book! 4. THE NIGHT COURT--duh! Lol. 3. 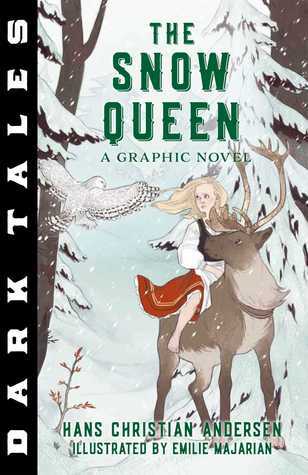 ARILLAND--a land of fairy tales? Yes please! 2. HOGWARTS/HOGSMEADE/DIAGON ALLEY...PRETTY MUCH EVERYWHERE IN THIS SERIES--no explanation needed! 1. NOCTURNE FALLS--probably my number 1 place to live! I know...I'm not sure how this outranked Harry! Somehow it does because it's a town filled with paranormal people and paranormal reads have been apart of my life for a very long time now. I feel like this town was meant for me. Now I can't really remember if I talked about this last year or not, but I'm going to be talking about it a little differently today. 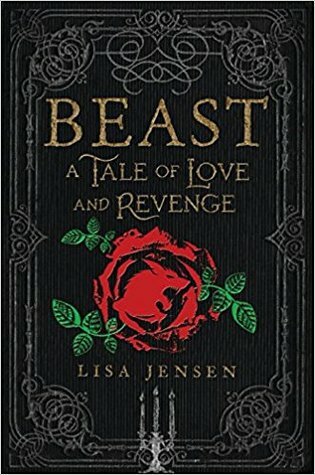 I recently saw that a favorite author of mine is re-releasing one of her earlier books and all of sudden I was just overcome with a great and powerful sadness. I might as well say it...because I know I've talked about this cancelled series a lot and tried to help save that one too. I failed in that sense. 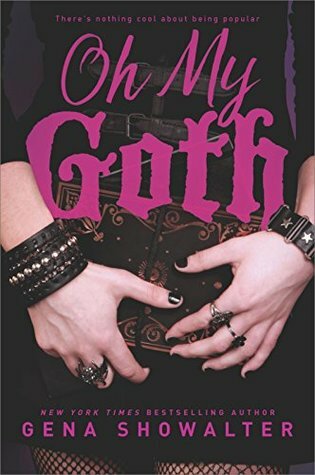 It was last week that the reminder came about--for I do remember hearing about it--that Gena Showalter was republishing her first YA novel, Oh My Goth. I never read that one to be honest. Not sure why, after reading what it was about. I guess I wasn't into alternate universes at that time. This book apparently released in 2006, trying to remember what I was reading back then. I might not have found my way back to YA just yet. I think that wasn't until 2007 or 2008? 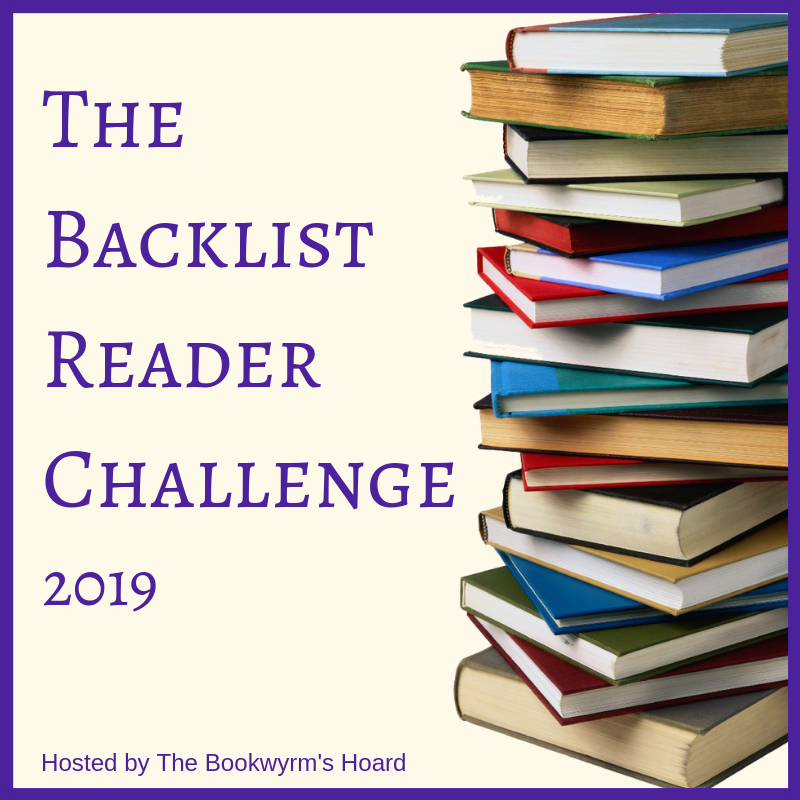 Definitely after this one because it was on Rachel Vincent's first discussion board that a few friends convinced me to read a particular YA book and I did and it basically brought me back to reading YA as Paranormal YA was finally a THING! Lol! So this book never landed on my radar. I don't know how its sales and whatnot went. It's a standalone. But here we are in 2018...12 years later and Gena is republishing it. And I *thought* it was with new content or something. That something was changing and hence it's NEWNESS. 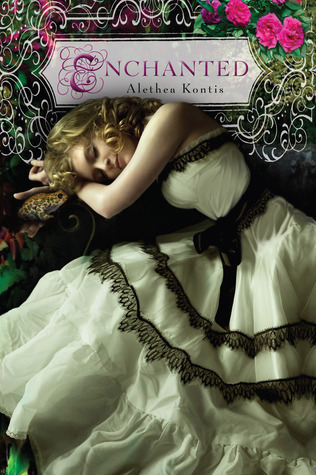 But here's where my broken heart took me...that Gena was so happy with this book and it was likely her first YA book, so I get that it has a special place in her heart. But to happily GO BACK to it, re-read it, immerse herself back into that world and decide to revamp it? Tweak it (Again, I am only like 99% positive that tweaking was done. Maybe even just small nuisances of making it 2018 and not 2006 so needing to change time related things.)? 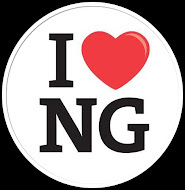 It hurt though...knowing that Gena has more love for this book than she did her Intertwined series. I guess I always thought authors love all their books. All of them are their babies and while you're not supposed to have favorites really, I'd think you'd still love them all and "want the best for them". That if you had the opportunity to write one again or go back and "re-vamp" it, you would. She did with this book, but she has truly decided to leave the unfinished Intertwined series in the dust and seriously my heart breaks every time I see those books on my shelf, because yes, they are still on my shelf. I didn't move them to the closet like I do when I need to make room for NEW books. Those books have remained on my shelf ever since I read them when the second book came out. 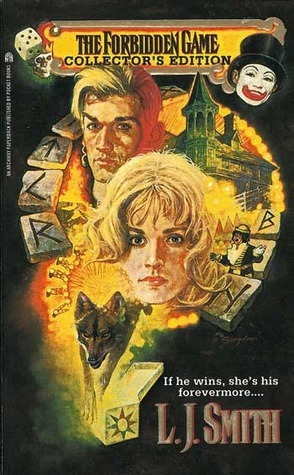 I had high hopes that Gena would self-publish a final Intertwined book. And she did plan to at one point. I remember getting the news when my Goodreads question was answered with positivity! I was elated Like legit tears of joy! 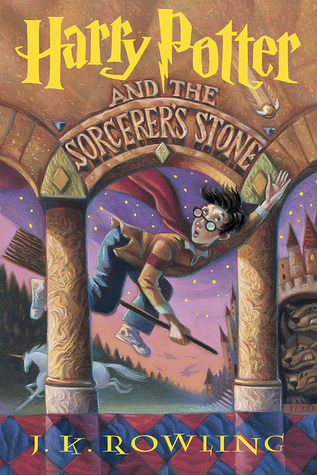 So much excitement and happiness...I was going to re-read the first books--which I haven't re-read a book in ages! So this was BIG! Then practically one year after she said YES, she said NO! I don't understand what happened somewhere in that year of her saying she would until the moment where it came back that NO she would not be concluding the Intertwined series. She did write a brief synopsis of how the final book would go, but I found it lacking. Like severely lacking! I could have been content with that if all points had been address and resolved, but she left out something HUGE and I was taken aback that she couldn't remember it. Again, absolute sadness overcame me yet again! I mean, to forget this HUGE, HUGE thing?! It was unthinkable. It made me believe that maybe authors truly don't love all their work. I mean, this was a pretty big deal. I still haven't worked up the courage to ask Gena why she left that part out and more importantly what the outcome of THAT situation would've been. I mean, I know authors who write a LOT of books, don't always remember everything about them, but I would've hoped that something LIKE THIS would've held some memory for her. I mean, it's mentioned in the description of ALL three of the books. How can something like that go unmentioned in her brief summary of book 4? Which I legit just went back to refresh my memory of what was supposed to have happened in the series but it looks like it was removed from the website. I also saw that they apparently gave the ebooks new covers just last year. Somehow missed that. I'll admit, a teeny tiny part of me is trying to muster up hope. I know I really, really, really shouldn't because it's only led to heartbreak these long, long, nearly 7 years. I've been teased before that book 4 was coming, Goodreads stringing me along like they are wont to do. Then having word of virtual mouth that it was coming and then a year later being old no way, no how. But that description of book 4 is gone. Like legit the website cannot find it. And there's no search box either so I can't trying searching for it. Why was it removed? What does this mean? Do I allow myself to hope? I really don't know! It's funny that I just wrote you this long ranting post and now when I go back for fact checking everything is gone! 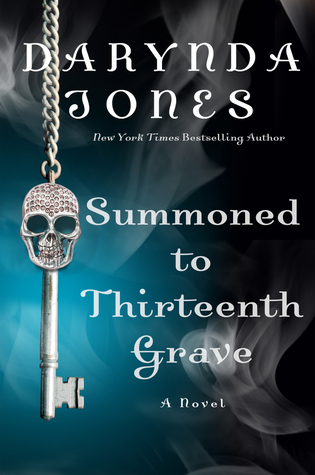 And there's suddenly new ebook covers. 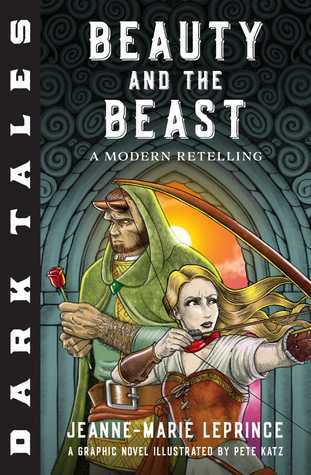 If a book 4 of this series was only ever available as an ebook I would take it in a heartbeat. No questions asked. So now I am left here to stew and worry and wonder and possibly hope. I mean why was that page removed? The link is still on Goodreads where the fourth book placeholder is. 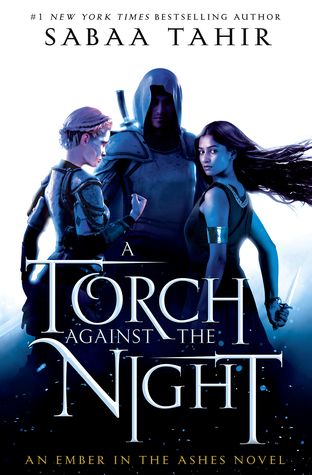 You'd think someone would remove it by now, or at the very least, Gena should've kept that description of the fourth book up. What a way to make myself agonize over things! Lol! So sorry for giving you such a long post! I totally didn't mean to do that! But I started gabbing like I am wont to do and then the fact checking search led me on another tangent because WHAT JUST HAPPENED?! OMG! Have you seen the cover for the final book in the Charley Davidson series? While I am tragically sad that it's ending next year (and the wait keeps getting longer by pushing it back! Lol), I am excited to see how it all ends, because man...that description!!! I mean, seriously, I'm reeling here!! What does this mean!? No Cookie?! No Ubie?! Where is Reyes?! I can't imagine he'd be gone, but it says "she missed Reyes" and where is her daughter?! There are wayyyy too many questions on the whereabouts of practically everyone! I thought my wait was until October but it looks like it's January now. This is going to be a loooong year! Though still plenty to look forward to this year, but man...it's going to be awhile until January! Lol! And another thing...are we missing a "the" on the cover? 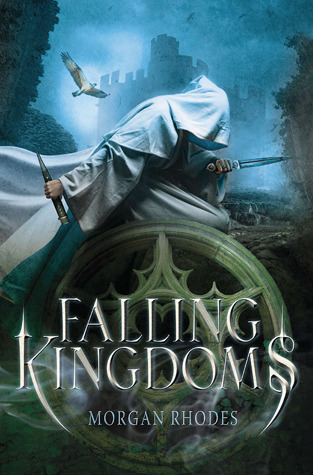 Tripping up since Goodreads has a "the" within the title search results but the cover itself is missing it. I know it can be added easily enough since we're just seeing the picture of it, but it makes posting about said cover a little tricky! Leaving out the "the" since the cover is clearly missing it! This week was far better than expected...book wise! Lol! The weather has gotten ugly, we're talking 90s, heat, humidity...disgustingness. I don't understand how some of the people in this city enjoy this weather! I loathe it! Every day I drive home I see people with their windows down, meanwhile I'm cranking mine on MAXIMUM!! Yeah, summer is definitely here. What's spring anyway? 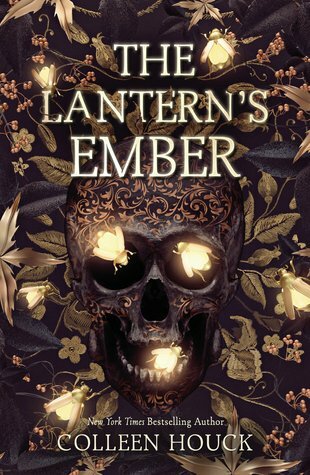 The Lantern's Ember by Colleen Houck (ARC)--SUPER EXCITED to read this one!! 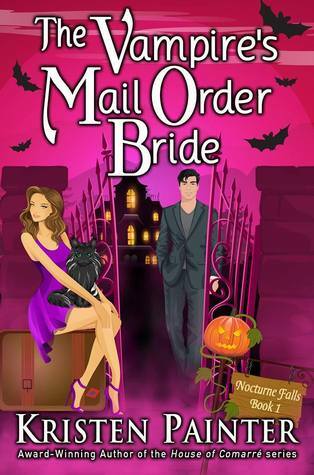 I had anticipated it as a Halloween read, but I am totally up for reading it earlier! Lol! 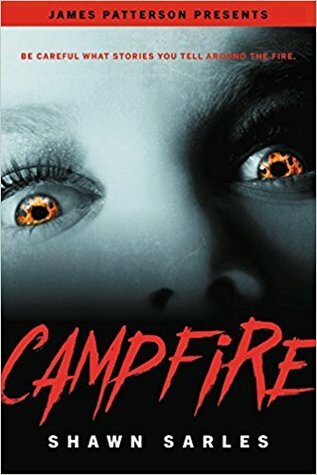 Campfire by Shawn Sarles (ARC)--another super creepy read that I am looking forward to! I may have bought another book sleeve!! Lol! In my defense...yeah...that's losing its meaning now, lol! But there was a sale and I had my eye on this one for awhile and it pays homage to one of my favorite shows growing up! Go go Power Rangers! Yes, I was singing the song as I opened this one up! Lol! Gotta love the 90s (and my gif proves it! Yes, it was a 2000 song, but close enough!)! This beauty came from Book Biff on Etsy! 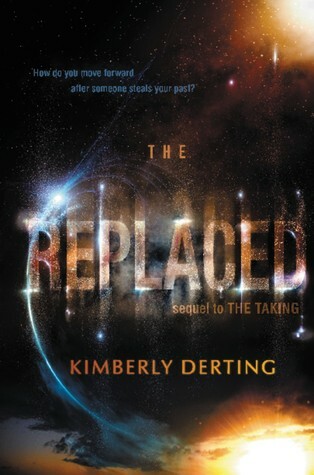 I finally got around to reading Kimberly Derting’s The Replaced! Better late than never right? Naturally, my scattered mind couldn’t recall too much about The Taking other than the general plot and what the cliffhanger ending was. Though I found it was surprisingly easy to get back into the story. Things were recapped well enough, the only problem I had was remembering the characters outside Kyra and Tyler. Kyra had to sacrifice Tyler to the same powers that took her five years ago. Tyler had been poisoned by her blood and the only way to save him was to let him be taken. He was, but then trying to figure out when and where he’ll come back was another story. Kyra contented herself by staying with Simon and his friends but when they get a possible lead on where Tyler might be, she’s ready to jump on it. The place? The NSA’s base in Tacoma. And so begins a journey to rescue Tyler who may or may not be there among their enemies, especially Agent Truman who has been relentless in capturing Kyra. When the plan fails, the group decides to take refuge with another camp that isn’t known for being too friendly, but Simon is out of options of where they could safely go. I’d say a good chunk of the beginning of this book involved getting themselves to Tacoma and then all that took place there. There’s a lot of traveling in this book and then more events take place when the group gets to the camp. A lot of new secrets are revealed in this one as well. Since I can’t really remember much about the first book, I was pretty shocked by some of what we learned. 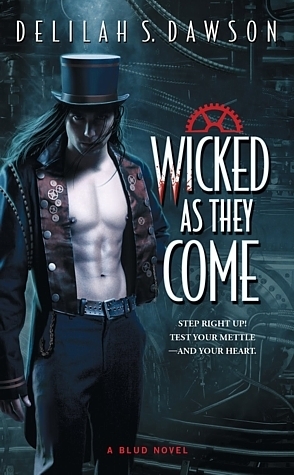 Kyra and her friends find themselves among other Returneds who are unlike any she’s met before. They are more like soldiers getting ready for battle, just what battle that will be remains to be seen. I will admit at times I felt like the pacing to this one slowed down some. There was a good deal of buildup in some of the mystery and secrets of just what the Returned are capable of. As well as a few other things that developed along the way. There wasn’t too much romance in this one. That’s one thing I can’t really remember much about in the first book. I knew I was somewhat weirded out with Tyler and Kyra’s togetherness, but it didn’t last that long. Since Tyler is MIA with the hopes of a reunion soon, you’d think there wouldn’t be any romance left to have. Well…that’s the thing! I’m not entirely sure if Kimberly is setting us up for a love triangle or not. 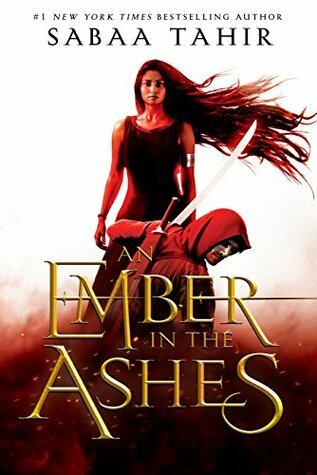 There’s definitely some chemistry brewing between Kyra and Simon, though it seems a little one-sided in the beginning that changes along the course of the book. I feel like Kyra has made her “choice”, yet there’s something that makes me feel like maybe she hasn’t. It’s a pickle that’s for sure, especially since I can’t remember why I loved Tyler so much! Simon was a riot at times and is definitely a character that made me laugh. Plus, he’s very loyal to his friends and whether in fiction or reality, that’s always an admirable quality. The ending was definitely something of a shocker! There were things that were happening that I didn’t quite believe! A few more shocking revelations thrown in for good measure as well, yet those I sort of was getting to the bottom of! Just not quite in the details that were later given. The final part of the book was something of a head-turner though and I cannot wait to read the next book. Part of the reason why I now just need to binge read trilogies as well as duologies! The Replaced was a pretty decent follow-up to The Taking! Again, with my addled memory I can’t remember The Taking as well, but diving into this one nearly blind I was able to follow along with little problems. It’s definitely going to be easier reading the next and final book for sure! If you’re a fan of the alien abduction type stories, this is definitely a read you will want to check out! It’s eerily mystifying in that area and I cannot wait to read the conclusion! MY ANSWER: Sadly, I do not. It's definitely been wayyyy too long since then! 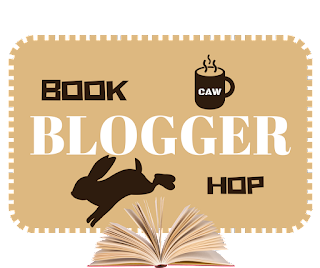 Imagine the number of books between when I write this and my first one. It's definitely got to be a story book of some sort...I just can't think of which one it could be. 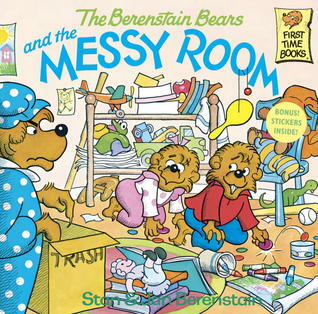 I'm just going to go with The Berenstain Bears books! I can't say if Messy Room was the first...though I do have it! LOL! These were some of the first books I remember reading with my mom, so perhaps I read them by myself? Like I said, this question is harder to answer! Lol!